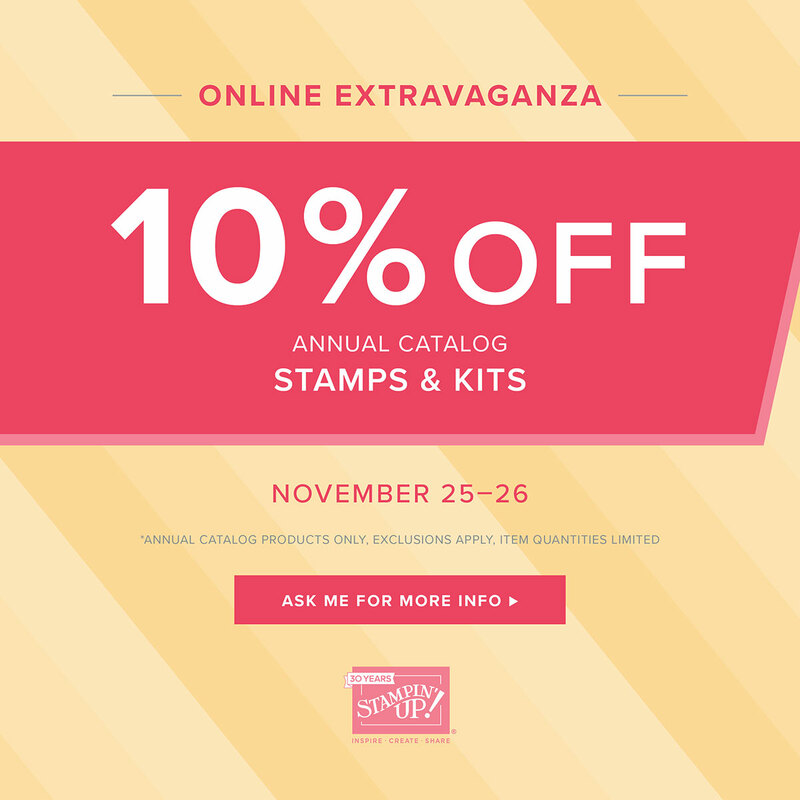 The 6 day Online Extravaganza has started. There will be three 48-hour sales. 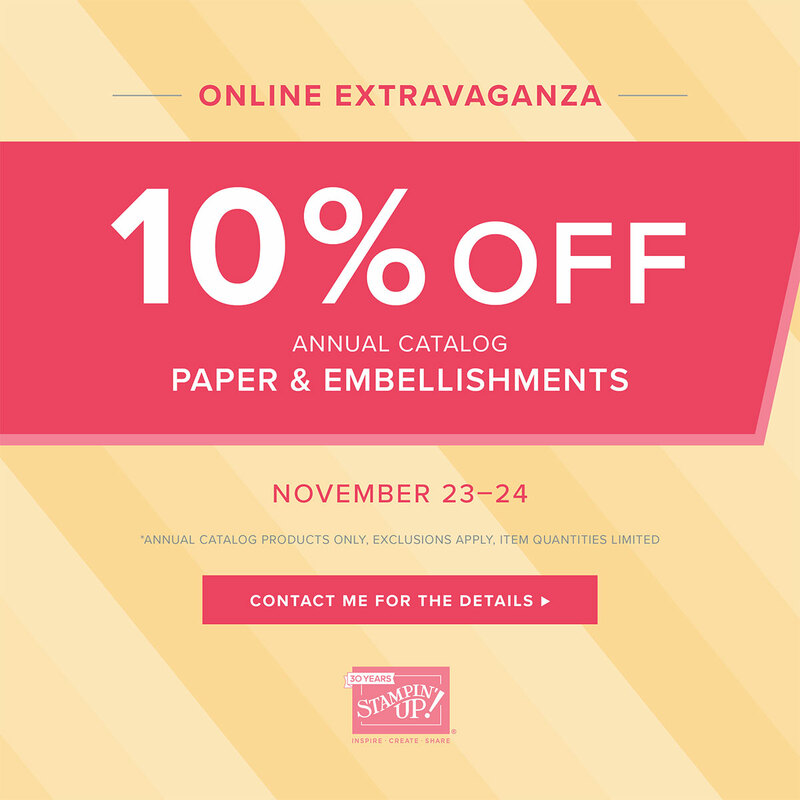 The First sale starting Nov. 23 and ending at 11:50pm (MT) Nov. 24, will feature 10% off Paper & Embellishments from the Annual Catalog. 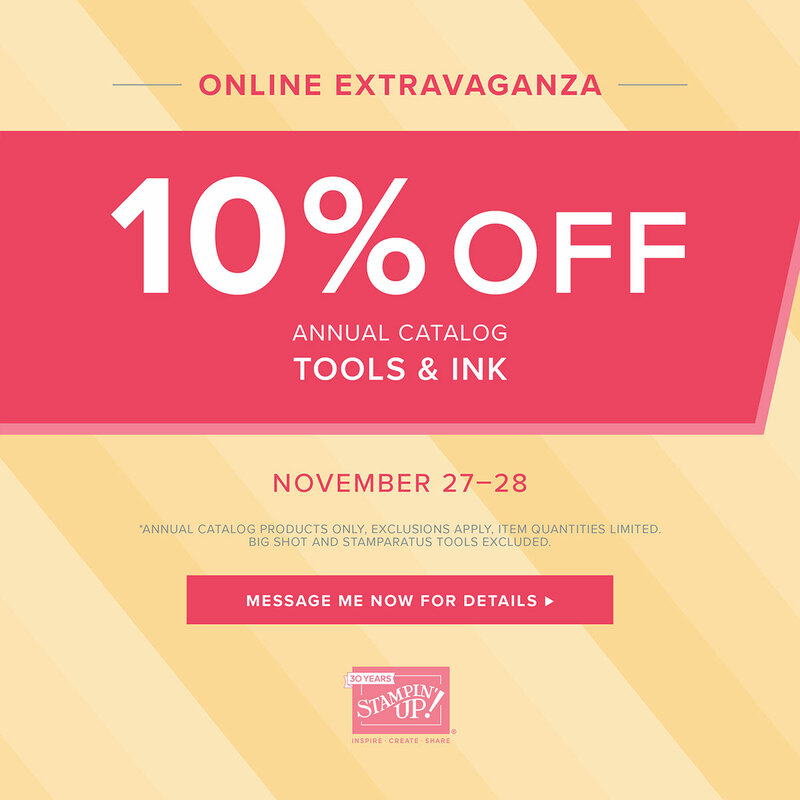 You can find all the sales on my Online Store.